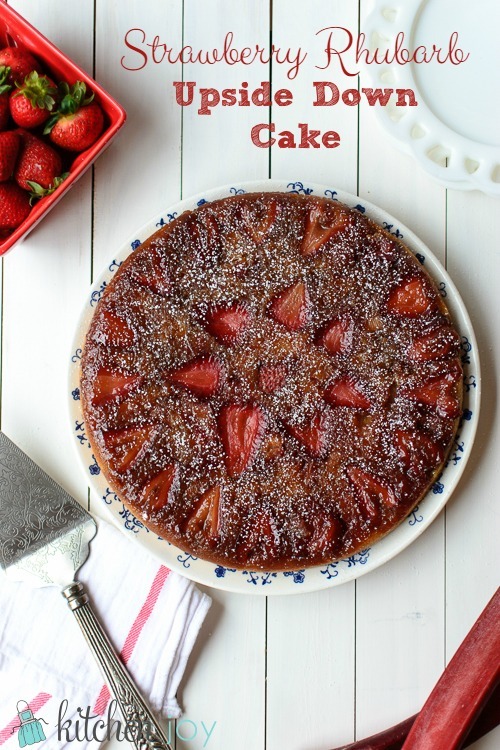 Let’s talk about cake. When nothing else in life makes any sort of sense, and you can’t manage to find the words to express your feelings, and no matter how out of control everything feels, there is something comforting about the familiarity and comfort that baking can bring. It feels so normal when nothing else does. It brings moments of peace and welcomed distraction when we need it most. 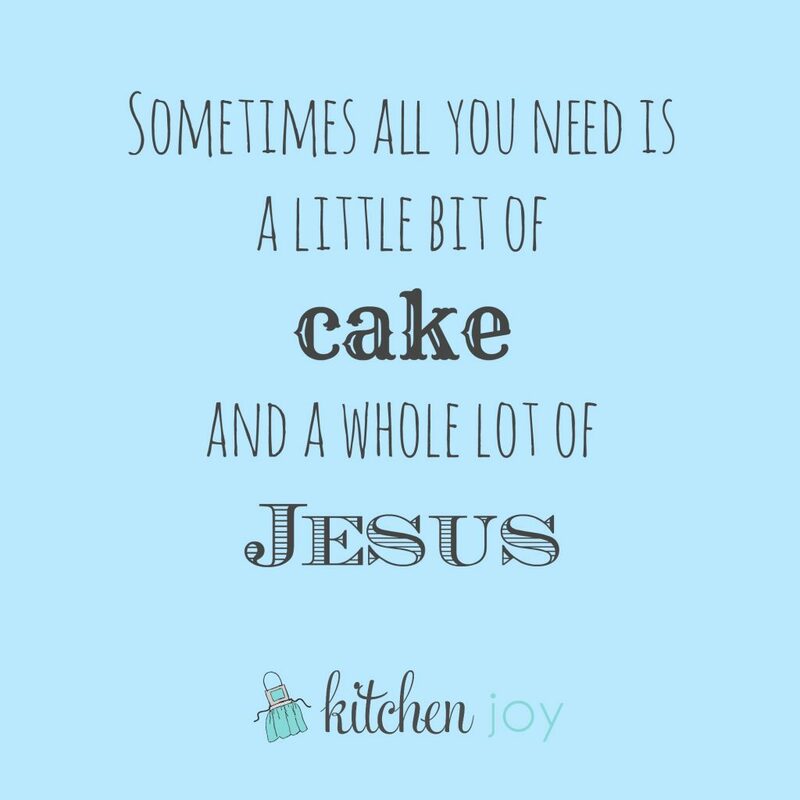 During times of tragedy, sometimes all you need is a little bit of cake and a whole lot of Jesus. Today is one of those days. 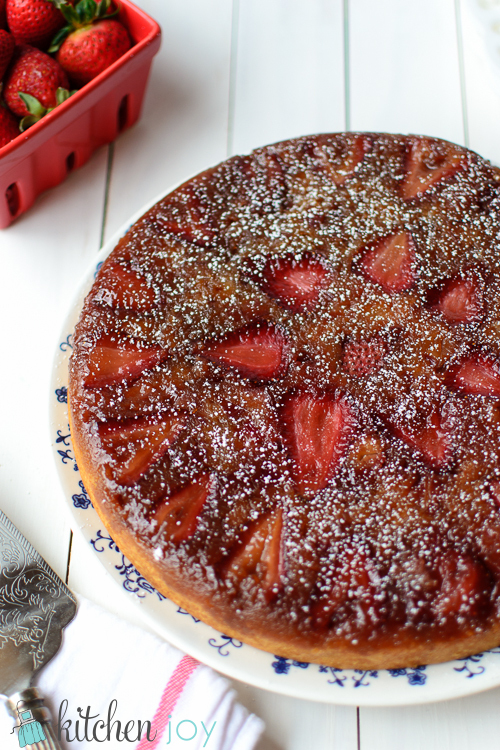 What I love about Strawberry Rhubarb Upside Down Cake the most is that unlike its Pineapple counterpart, it is made with 100% real, fresh ingredients. No spooky maraschino cherries or canned pineapple (although you’ll remember that I do love that version as well.) 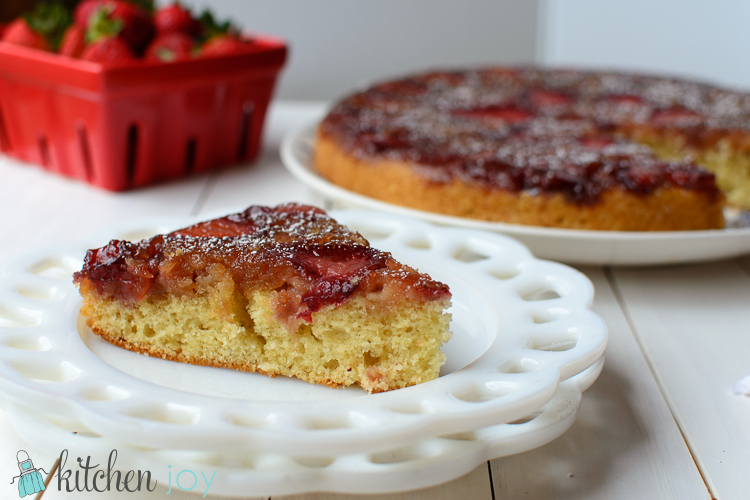 There’s just something about rhubarb that I can’t get enough of. I want to bake it into everything, and if I can’t do that, I want to make it into jam and slather it onto everything. In the bowl of a stand mixer fitted with the paddle attachment, beat the 1/2 cup of butter until softened. Gradually add the sugar and beat on medium speed until light and smooth, about 2 minutes. Add egg yolks and beat until combined. Add the buttermilk and the dry ingredients in alternating additions, beginning and ending with dry ingredients. Be careful not to overmix. Fold the beaten egg whites into the batter, then fold in the vanilla. Melt the remaining 2 tablespoons of butter in a 9-inch diameter skillet that is 2-inches deep. remove from heat. Sprinkle the brown sugar over the melted butter in an even layer. 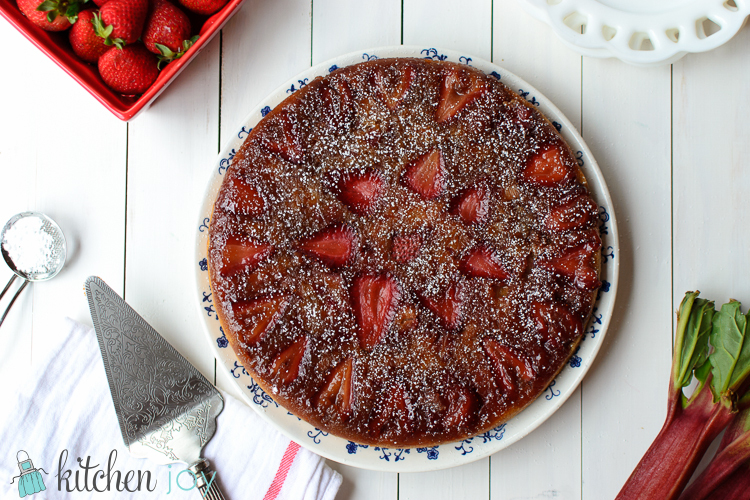 Arrange the strawberry slices on top of the brown sugar, followed by the diced rhubarb. Top with cake batter and smooth the top with a spatula. Bake 41-45 minutes until the center springs back when pressed gently. 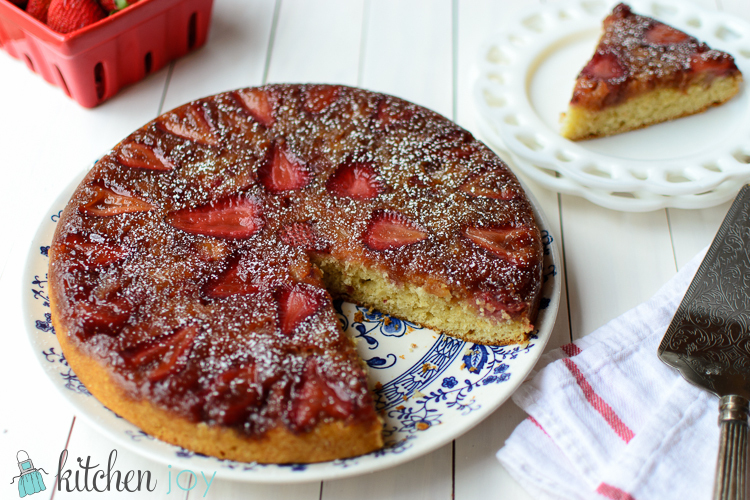 Remove from oven and invert cake onto a serving plate.